The main hall at the Wallington estate. The public is invited to find out more about the National Trust’s progress in reducing carbon emissions at an open day at one of its properties in Northumberland tomorrow. The Wallington biomass district heating scheme involves introducing the very latest in green technology to the 17th-century hall, a development which supports the trust’s aim to reduce carbon emissions substantially at its properties and to deliver 50 per cent of its energy from renewables by 2020. Members of the public can see more of this complex and ambitious project during the open day at the estate near the village of Cambo. The cutting-edge scheme has involved the installation of two 130kw wood pellet-fired biomass boilers, which now provide heating and hot water to the main hall, estate cottages, offices, gift shop and café. The work at Wallington has been carried out by Alnwick-based biomass specialist re:heat. Ben Tansey, re:heat director, said: “We were delighted to be working with the National Trust again and this has been an exciting project to be involved with. 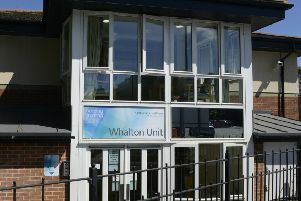 “Wallington is a sensitive site, steeped in history, so there were some unique challenges to overcome to provide the best possible heating solution without adversely impacting on the existing building and grounds. There will be a talk and presentation about the scheme from 11am to 11.30pm and from 1pm to 1.30pm, but you can have a general chat with the team outside these times.